Washington state is home to a strong clean technology industry and world-class research institutions. As a result, both public and private sectors are committed to finding alternative material options that overcome these challenges. To demonstrate that commitment, the legislature established the Joint Center for Deployment and Research in Earth Abundant Materials in 2015. WSU’s expertise in materials science and engineering made it a natural partner in this collaboration, which also includes Pacific Northwest National Laboratory and the University of Washington. 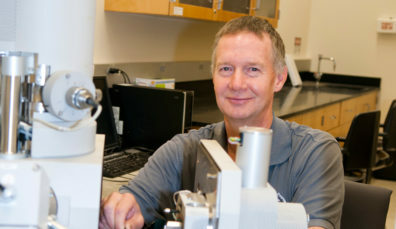 David Field, associate dean of research in the WSU Voiland College of Engineering and Architecture, directs JCDREAM. The vision of JCDREAM is to establish Washington as a national leader in the development and commercialization of next-generation clean energy and transportation technologies with the goal of achieving national industrial supply-chain security, economic sustainability, and sound environmental stewardship. The Center aims to achieve these goals through collaborative research and development and by establishing a regional center with shared research equipment and an education and training program.